There are some high-end restaurants in the Port Canaveral area. It would certainly be wise for visitors to plan to enjoy a really delicious meal in at least one of these top of the line establishments. Of course, visitors should always make reservations to ensure that they will be able to get a table, but they should also plan for their transportation getting to and from the eatery. Parking is at a premium in the area, so hiring a car service would certainly prove to be a beneficial thing to do. Besides, if you have a drink or two at dinner, that could kick you in the tail. Port Canaveral police don’t take kindly to those who drink and drive in their city. Luxury Transportation Group USA provides safe and professional limo rentals in Port Canaveral. 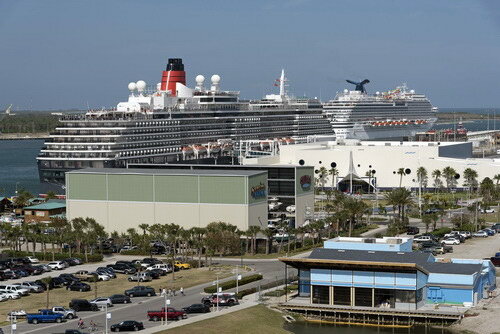 Plenty of people book their vacation cruises with the port of call being Port Canaveral. It’s a very popular departure destination for cruises out of Florida. While there are parking lots for those going off on their cruises to use, they can be quite costly. Let’s face it; terrible things can happen to the vehicle while it is unattended for a period of time. Hiring a cruise transport company makes more sense. Luxury Transportation Group USA provides hotel to port of call transport in Port Canaveral. Luxury Transportation Group USA is the premiere provider of high end fleet limousines in Orlando, Miami, and Port Canaveral. Their professional drivers are experienced and discreet. Call 407-476-0429 to schedule your limo rentals in Port Canaveral.